We teach mindfulness to students, in sessions designed to suit school, work and sport commitments. Being a student can be stressful. Many new challenges will activate the ‘fight, flight or freeze’ response which is hard-wired in our DNA. Students are at the cross-roads of being children and adults, reflecting on past experiences and trying to plan for the future. Students who practice mindfulness are able to bring their attention into the present, slow down and take note of how they are really feeling. How can mindfulness training help students? Students who practice mindfulness techniques develop skills which can be used at any time – in the classroom, while studying, at work, on the sports field or when dealing with family issues. How can schools, families and social groups benefit from mindfulness training for students? Students who are able to self-regulate and cope with life’s challenges make for happier communities. 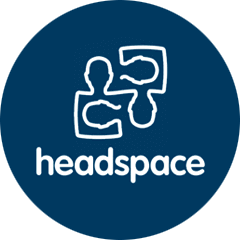 Mindfulness Space offer one-off workshops (either one or two hours long), or a program of one hour per week for four weeks. Whether they are working, studying or doing something entirely different with their time, all students can benefit from the training. For more information on how mindfulness training can help students, call us on (02) 8090 7184 or contact us.